Kerry Washington walked the Academy Awards red carpet alone, but she's still happily in love with her husband former football player Nnamdi Asomugha. 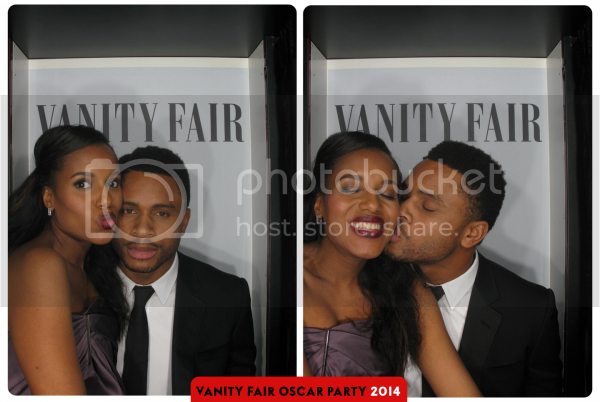 The two show some PDA in the Vanity Fair photo booth after the Oscars. Kerry and Nnamdi are notoriously private about their relationship, so it's nice to see them open up if just for an evening. According to reports, the two will be welcoming a little one in just under two months.